In recent times many studies have indicated that in India only 2.7% journalists are women. But if we look at the history of women in journalism, we see that it was during the years of the freedom struggle that women came into this profession. 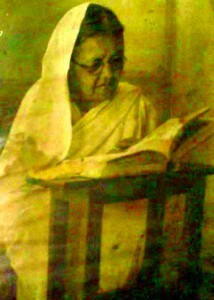 Hemant Kumari Devi Chaudhrani was born in 1868. 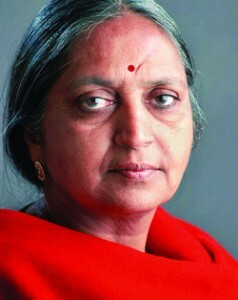 She became the first woman journalist in India. She went on to become the editor of a magazine called Sugrahini which carried stories on women’s empowerment at that time. Following the sixties, there was a sudden spurt in the number of working women in the country, especially in journalism. From the beginning, women who came into journalism had been from the middle and upper middle classes of society. It was specifically in English journalism that more and more women started getting opportunities. In Hindi and regional journalism, it was Mrinal Pande who gave men a run for their money. Even so, in Hindi and regional journalism, most women were only on the desk and not as reporters. 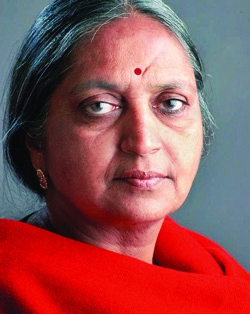 Usha Rai breathed new life into journalism at this time. She entered the field in 1965 and brought women’s issues into mainstream journalism in a big way. The eighties were a transitional phase for women in journalism. Women entered the profession in visibly big numbers. Today, there are a number of women in editorial positions, as reporters and as television anchors for news channels. Maya Kamat was born in Mumbai in 1951. In 1985, she became a political cartoonist. This was still a field dominated by men. A number of newspapers started carrying her cartoons which were often based on political satire.